Baby will love the sweet story in this book, ''Where’s the Giraffe?'' with sturdy felt flaps and the mirror on the last page always makes baby smile! 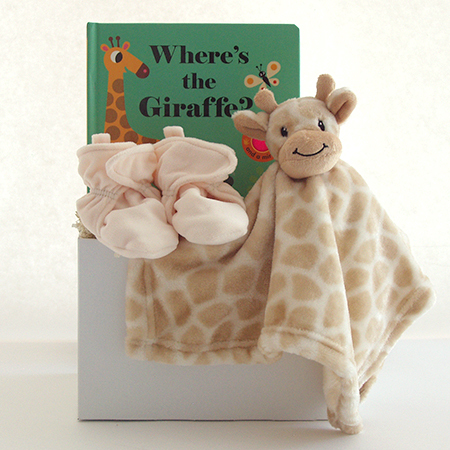 Comes with a super soft Giraffe Snuggle Blanky and cozy Fleece Booties with non-skid bottoms.